Facebook went live in 2004 from Mark Zuckerberg’s Harvard dorm room – 13 years later the app now has almost 2 billion monthly users. There are about 7.5 million people in the world but only 3.7 billion or half have internet access, so this means that 25% of all people or over 50% of people with internet use Facebook monthly. This impact of Facebook is truly astonishing and gives reason for its $400 billion valuation, but Facebook isn’t even close to done. Facebook is working to expand on innovative technologies like augmented reality and on outreach projects as Zuckerberg and team have said they want to bring internet to every person in the world. However, Facebook also has problems to deal with. The social media site has had an issue with fake news for a long time now, but recently another issue arose with the famous “Facebook Killer”. The “Facebook Killer” refers to Steve Stephens who murdered a man on a Facebook livestream, and, while Stephens’ incident may be small scale in comparison to the almost 2 billion users, it poses a problem nonetheless. Despite these problems, Facebook continues to grow daily and is by and large the powerhouse of social media. Thus, Facebook needs to be a key component of every businesses’ digital marketing plan. 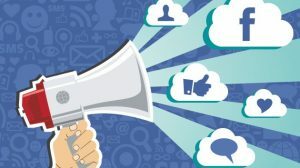 How exactly can you optimize marketing through Facebook? Well marketing on Facebook is easier than any other site with the help of Facebook ads. Facebook ads target specific audiences with eye-catching ads. Additionally, you can track the results of your ads to see what works and what doesn’t and use this information to increase your ROI. Speaking of ROI, Facebook ads are not free – Facebook ads can come at a hefty fee, but their price is relatively cheap if used effectively. Beyond Facebook ads, you just need to ensure your company’s Facebook page is being frequently updated with strong, preferably visual, content. A strong Facebook page immediately puts your company just clicks away from customers causing Facebook to become a quintessential marketing platform. Instagram has been around since 2010 before being purchased by Facebook just 15 months later. Under the control of Facebook, Instagram has grown to over 700 million daily users with 1 million advertisers. Instagram is growing faster than ever with 100 million users added in just 4 months from the end of last year to beginning of this year and is adding users at double digit percentages every year – in comparison, Facebook’s percentage growth is below 3%. Instagram’s growth is partially due to its new addition of stories; a feature previously used only by Snapchat but now popular on Snapchat, Instagram, and Facebook. Its new features like these that keeps Instagram relevant, especially amongst millennials, something Instagram has been able to do for 6 years now. Instagram’s growth is not likely to slow down anytime soon, and there is no doubt that the company will continue to innovate under the leadership of Facebook. Instagram may not have as large a user base as Facebook but this does not stop it from being as strong of a marketing tool as Facebook. Advertising on Instagram is becoming just as easy as advertising on Facebook – funny you’d think the two are run by the same people or something. 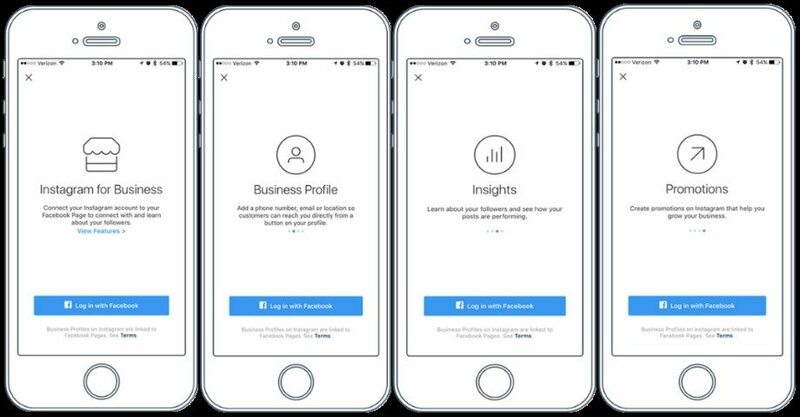 Anyways, you can now register your company’s Instagram page as a business profile, which allows your company to share contact information and offers your company key features like Instagram’s free suite of business tools. Creating ads on Instagram is similar to Facebook in that they are easy and relatively cheap; however, for Instagram you just must ensure your content is more visual. A Facebook ad will likely get conversions without visual content, but for Instagram an ad with poor visuals will get a small number of conversions and lower your company’s ROI. Thus, if you think your business is inclined towards visual marketing then Instagram may just be the perfect outlet for your company’s digital marketing. Instagram continues to grow and there is no better time than the present to start building a strong Instagram page. Instagram and Facebook have become two fundamental digital marketing tools. Social media marketing has become of one of the strongest, most cost-efficient marketing tools in the world. Social media marketing may seem intimidating to some, but Facebook has made the process easy for both Facebook and Instagram. If your company can generate interesting, preferably visual, content then you should take the first step and begin social media marketing – the incredible opportunities offer a possibility to transform any business.